A few weeks ago, I had a flight from Fukuoka back to Seoul, where I was posted up for a month whilst The Wife was recovering from a minor surgery. Fukuoka is on the island of Kyushu, which was affected by large earthquakes the weekend I was there (I felt about 12-15 myself, even though I was 150km away from the epicentre) so my original flight ended up getting cancelled. 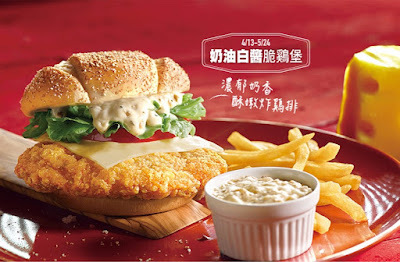 I ended up rebooking myself through Taipei just so I could try the new Alfredo Chicken Burger which launched only 3 days earlier. Now, this isn't the first time I've entered a country to only have McDonald's, but it's the first time I've do so in Taiwan as I usually stop a day or two to visit friends living in Taipei. 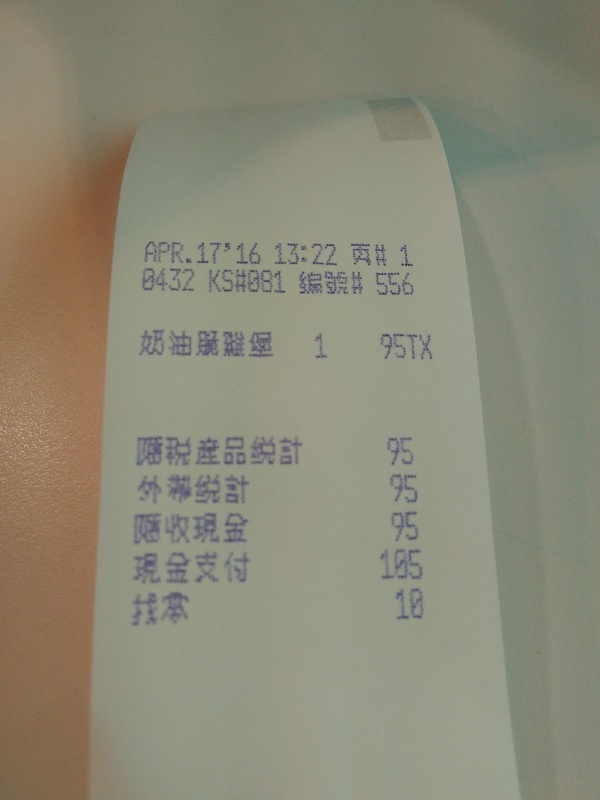 Taiwan Immigration didn't give me any hassle when I said I was going to have lunch during my 6 hour transit. The McDonald's in the food court in the basement of Terminal 2 is the same one I was able order the Q Toast a month or so earlier, the food court was busy then but at 1pm on a Sunday afternoon this time around, it was absolutely heaving. No seat in sight, and many people were eating on the floor outside of the food court. I knew of a hidden dining area up on the upper levels (hint - find the playground) so I carried my burger upstairs for a peaceful meal. 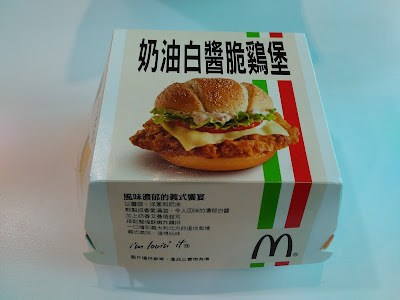 Before I Google Translated the name of this burger, I actually thought it might have been the same Ricotta Cheese Chicken Burger that Korea ran in late March-early April which naturally, finished the DAY I ARRIVED in Korea, so I thought this might have been my chance to finally give it a try. It wasn't, and I never did end up trying the Ricotta Cheese Burger, but I wasn't that disappointed since Alfredo Sauce seemed like a new and interesting sauce for me to review, and it's been a quite a while since I've reviewed an interesting Chicken Burger. The burger served looked pretty close to what was shown in the promotional images. 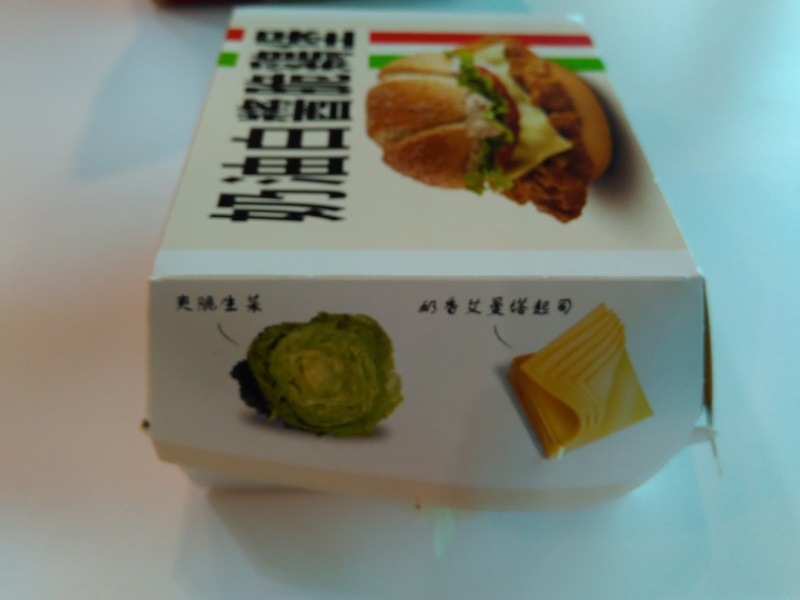 The premium bun was large, the serving of Alfredo sauce was decent, but not overwhelming, and the "Italian" cheese, although still processed, was larger than the standard square. 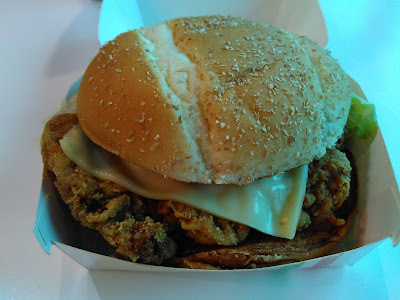 Even the chicken looked to be huge (a good portion was sticking outside the bun), but sadly that was the worst part about this burger, but I'll get to that in a bit. What hit me on the first bite was the sourness of the Alfredo Sauce. I expected it to be mayo-based, but whatever it was, it was most definitely cheese based, but not the typical salty-yet-creamy parmesan cheese + butter combination you'd expect from a traditional Alfredo. It was so sour, it almost tasted like something in the sauce might have been spoilt, but after trying a few more bites, I noticed that it was the small pieces of whatever was mixed in the sauce that was causing it to be so sour. They were crunchy, almost like a pickle, but even after googling and asking my Taiwanese friends, I never could figure out what was mixed in that sauce. 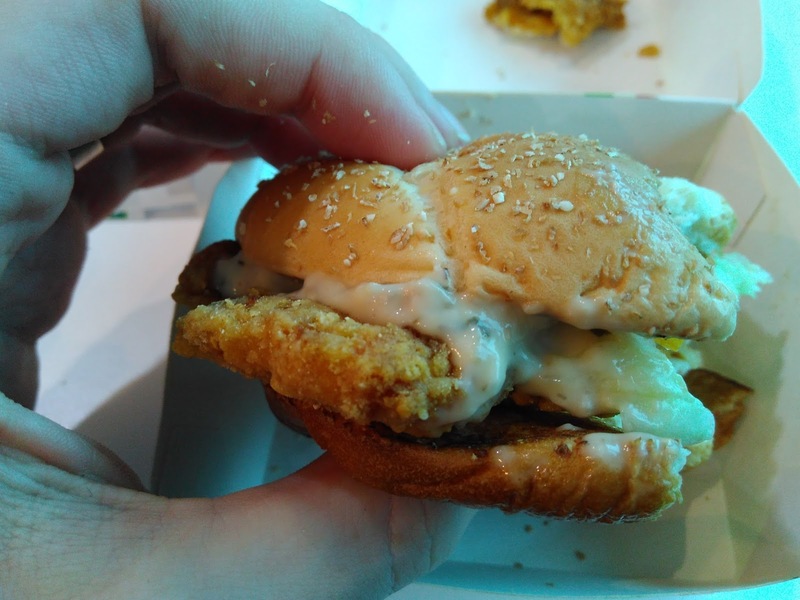 I'll also admit, that after adding a bit of pepper to the burger, the sauce ended up being palatable. Served with fried chicken and on a bun, it wasn't terrible. But if this was served on Pasta, there's no way I'd call it Alfredo, nor would it be something I'd probably want to continue to eat. 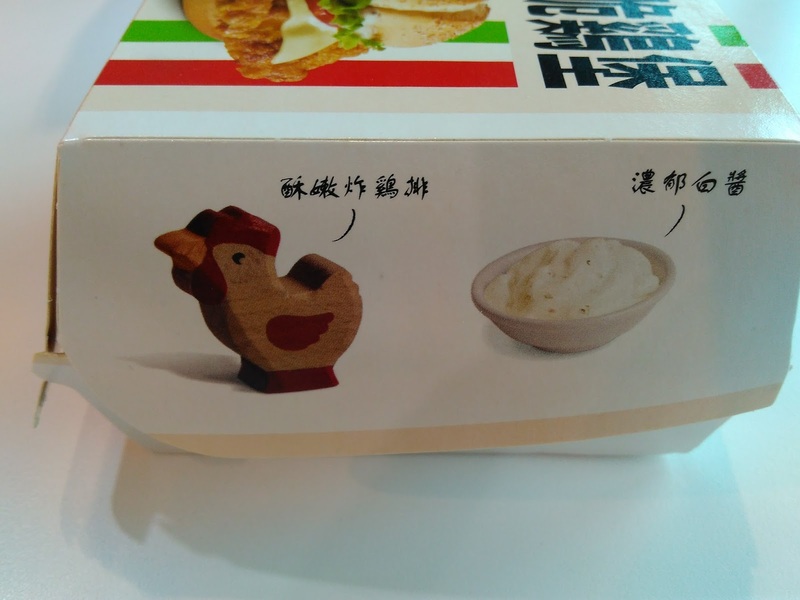 I'm not sure if this is Taiwanese take on Alfredo, or if they just had a cheese sauce and needed to match it to the "Italian" name so called it Alfredo. The amount of "Chicken" I threw away from patty that didn't have any meat. Now, if that sourness of the sauce was the worst of it, the burger might have etched out a 3.5/5 or maybe even a 4/5, as together, it wasn't all bad. 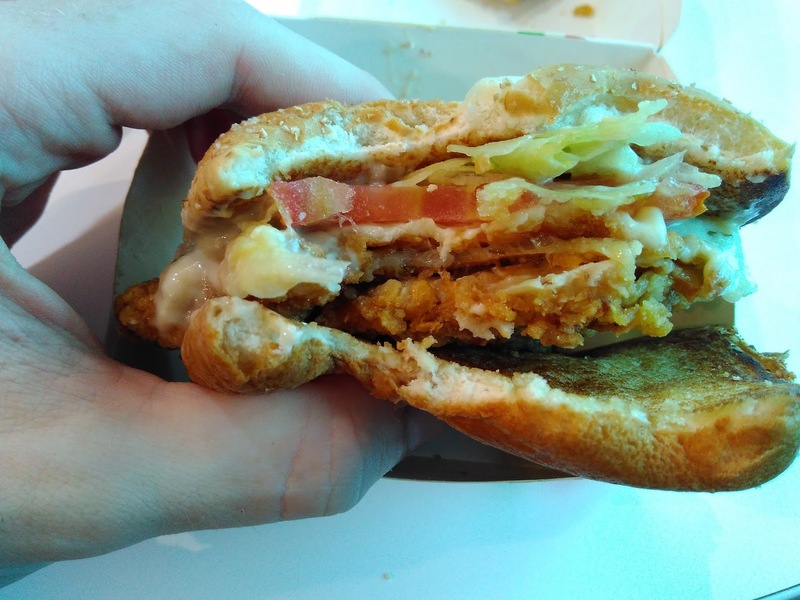 But I must have had one of the worst pieces of Chicken ever served at McDonald's, since after my first bite which did actually have inside, the rest of the large patty only ended up being an oily, skin-filled mess of a patty. 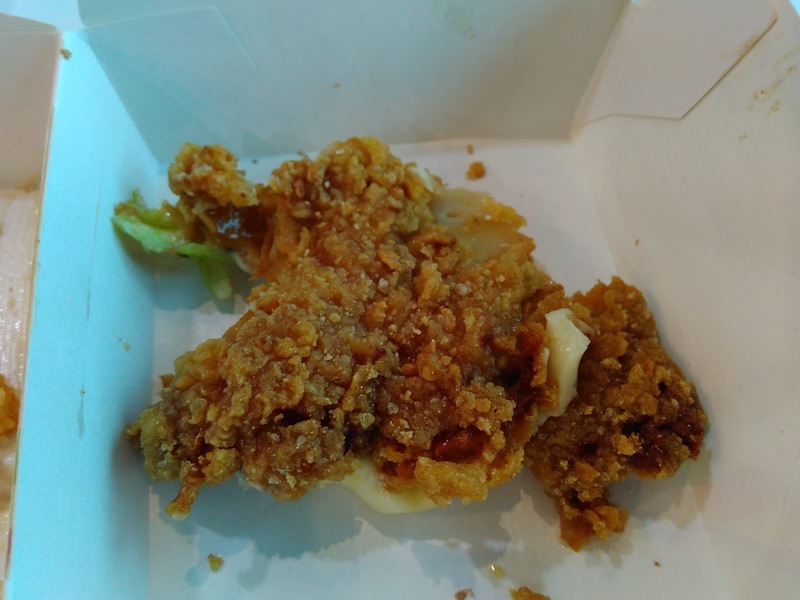 At least 2/3 either didn't have any meat at all, or it was meat that I didn't want to eat as it was dripping oil. This type of oily chicken thigh patty I've run into before, mostly in Chinese speaking countries where it's preferred, but it's never been this bad. 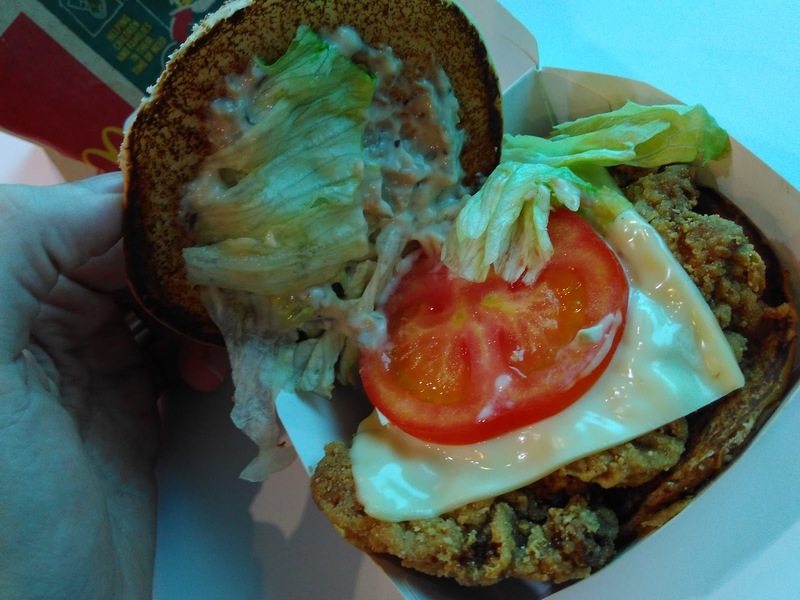 I'll be the first to admit, the parts that did have meat, tasted pretty good, it was seasoned well, but when more than 2/3 of the patty is just batter, fat or skin, it really ruined burger for me, so it's going to have need to have a below average rating. 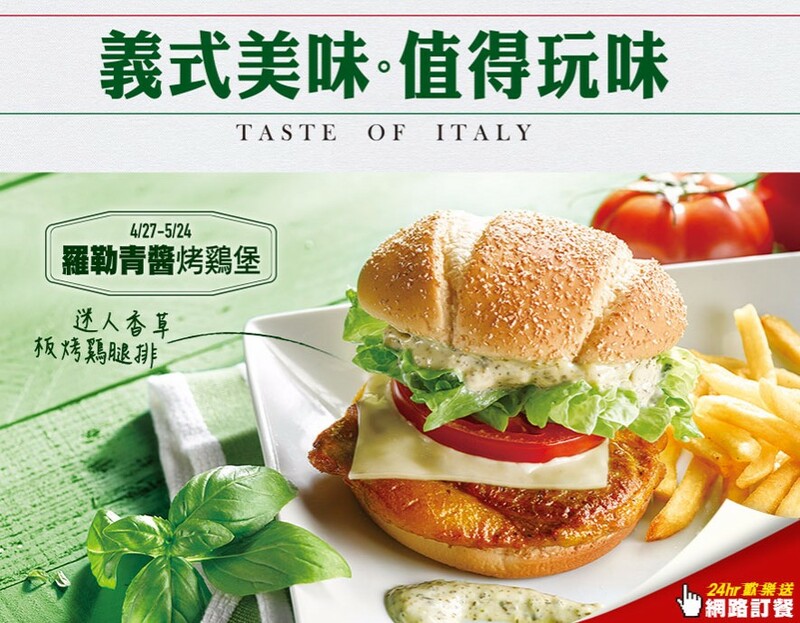 The Alfredo Chicken Burger was the first of two "Tastes of Italy" burgers McDonald's Taiwan was running in April-May, the second is a 505kcal "Basil Pesto Chicken" (羅勒青醬烤鷄堡) burger which uses a grilled chicken patty which I'd go for any day over fried. 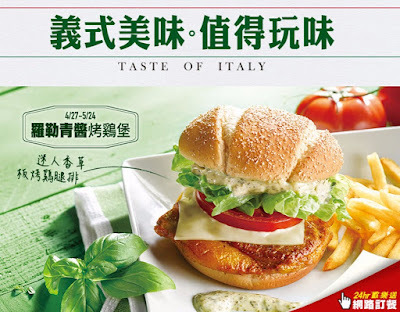 Unfortunately since it launched a 5 days after the Alfredo Burger, so I didn't have a chance to try it on this trip. It's not the first time I've seen promo burgers staggered like this in Taiwan, so I think they must do it on purpose, possibly to get people like me that want to try both, into the restaurants twice? I thought to myself why would anyone ever want to try both of those sandwiches. Then I was like wait I would definitely want to try the Alfredo, but your review was so convincing I forgot it sounded good lol. It is too bad you don't like the Fried Patty though. It seems to instantly hurt most sandwiches. America is testing fresh beef. Have you had any fresh beef anywhere.